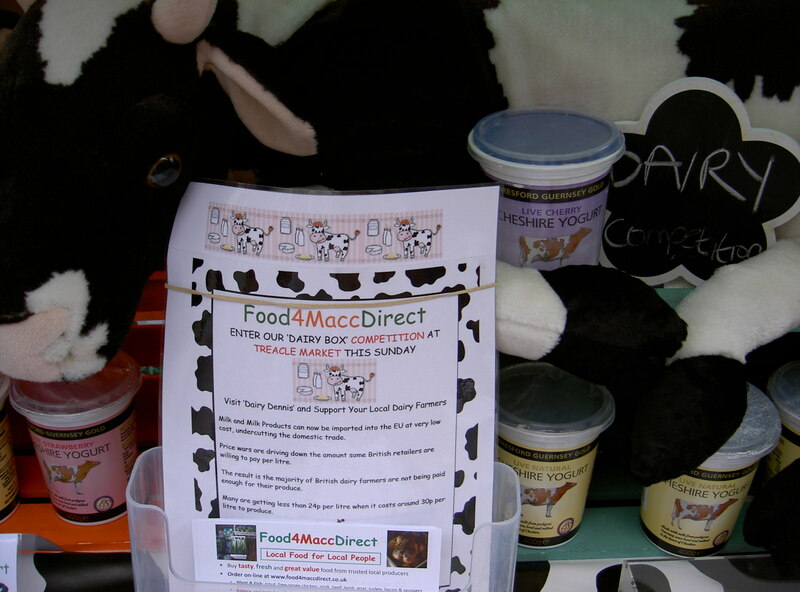 Thanks to everyone who volunteered or visited our Aug Treacle Market stall, we had over 50 entries to the ‘Dairy Box’ competition including a visit from John of Tiresford Yogurts. 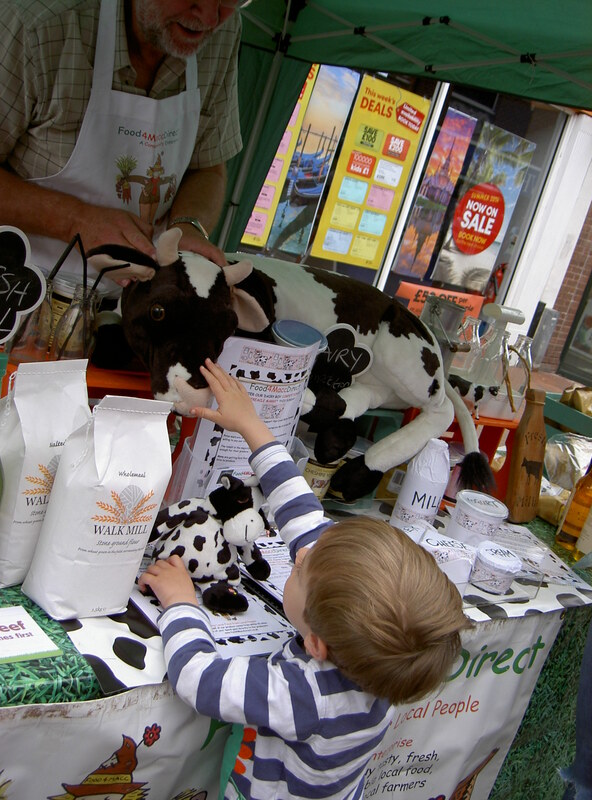 The competition was highlighting the plight of UK Dairy Farmers with the low price they are receiving for their milk product. Lots of youngsters said hello to ‘Dairy Dennis’. The answer we were looking for was an average 27 litres of milk a day for a dairy cow, we had entries from 8 to 333 litres! Only one person guessed correctly, Glenys from Bollington and they win a fab ‘Dairy Box’ of goodies next week from our local Producers. Well done Glenys!